Be more interesting. 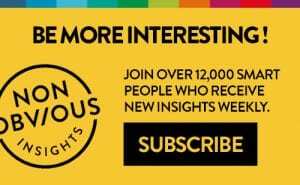 Join over 10,000 readers who receive my curated list of the most interesting stories of the week every Thursday morning! Products: Notebooks, Trend Cards, etc.